MLS Decision Day is done, and there are some great stories. New York Red Bulls sealed the Supporters’ Shield, but LA Galaxy and several others collapsed to ruin their postseason hopes. The fireworks included full video of two Philly players arguing at halftime. In addition, Atlanta United’s Josef Martinez was officially awarded the MLS Golden Boot after breaking the MLS single-season scoring record in August. 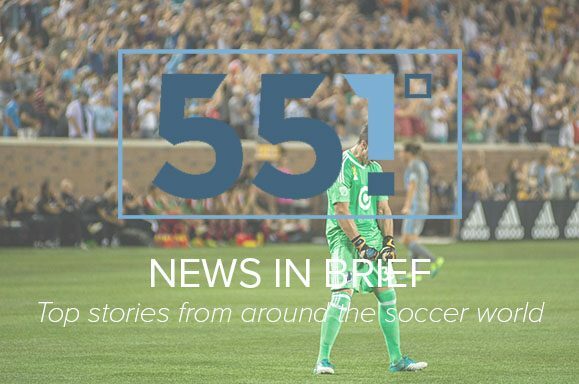 After Adrian Heath accepted partial responsibility for the Loons’ horrific defending all season, United fell 3-2 to Columbus in its season finale. The Loons broke their record set last season for most goals conceded, but were saved their blushes by Orlando City SC’s even worse defense. Heath and Manny Lagos were both given a “passing grade” by President Chris Wright recently.